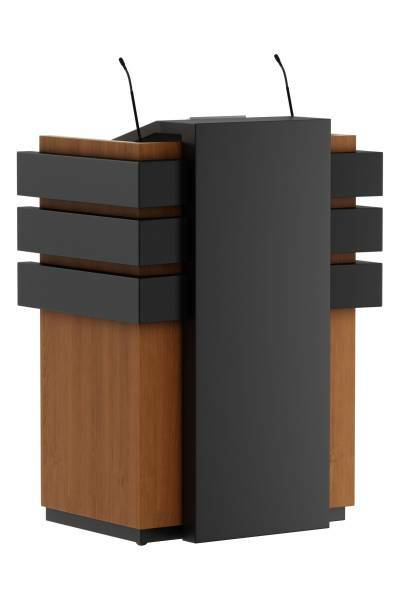 Modern eccentric lectern in wood. 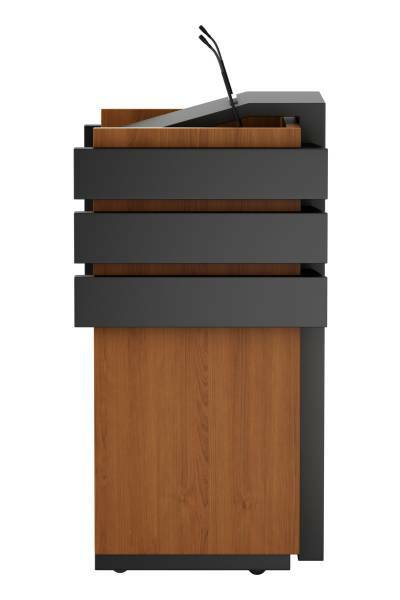 The front panel streches out into the inclined reading area. 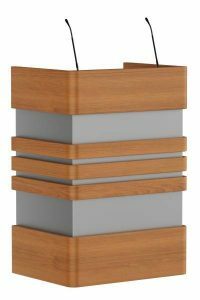 The lectern is well proportioned and draws attention of the audience. 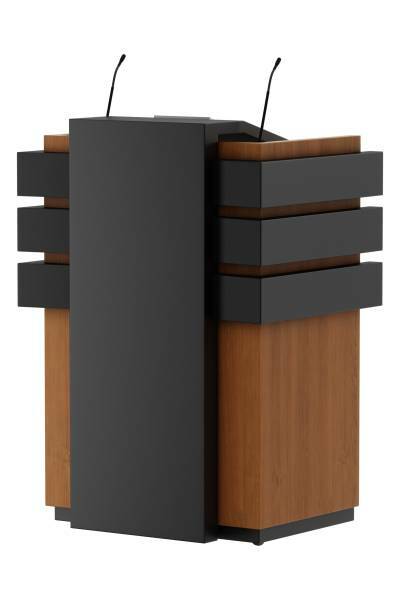 The wooden lectern is fitted with two shock mounts. 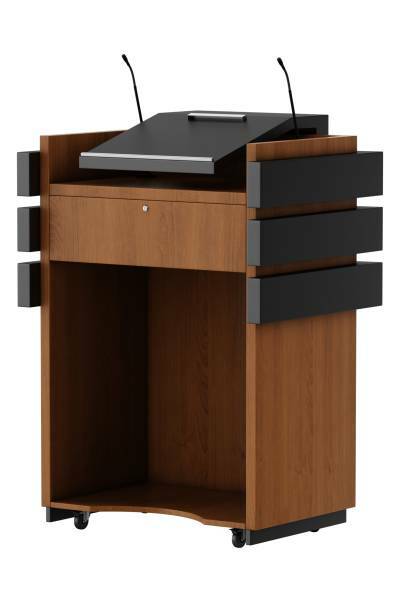 Below the reading desk is a drawer. 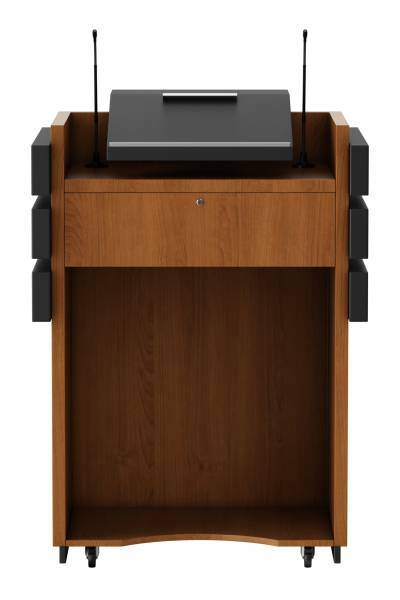 It is also possible to expand the lectern with trays under the reading area. 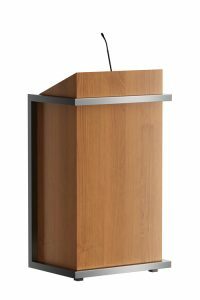 Lockable doors can also be realised. 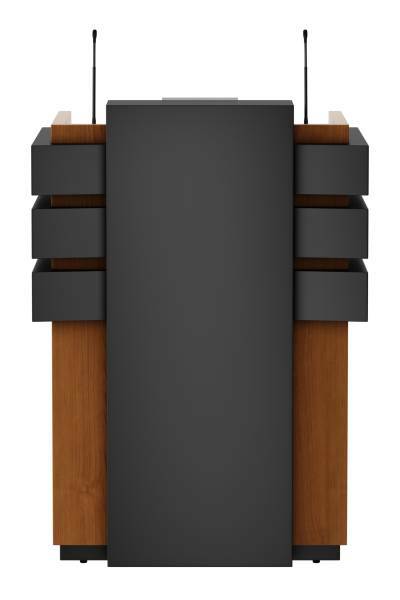 On the front of the lectern is space for a logo.